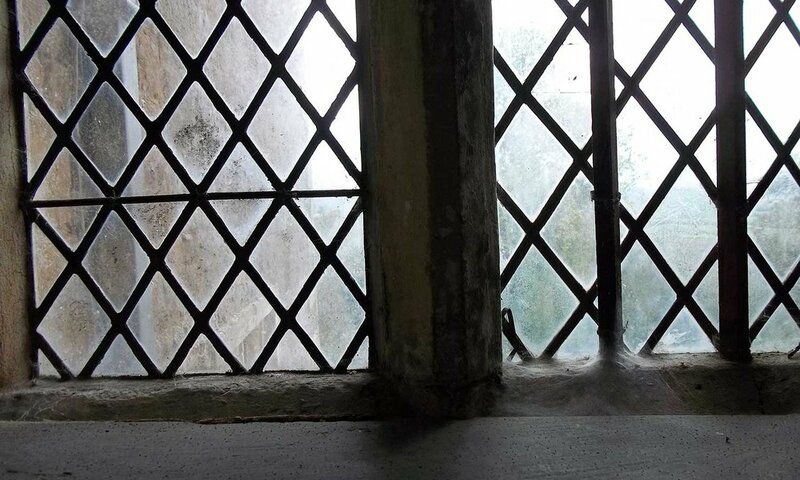 Chastleton House, in Oxfordshire, is one of the two National Trust properties chosen by Coming Clean researchers as a case study to investigate visitor perceptions of dust in historic houses. Considered one of the finest country houses of the early 17th century, it was owned by the same increasingly impoverished family until 1991. The Trust has focussed on preserving the property as it was at the time of its last occupation rather than restoring its lost Jacobean grandiosity. A photo survey was carried out to explore the public’s reaction to the house’s "unkept" look. Visitors were handed cameras and asked to photograph and describe things that needed more care, conservation or cleaning. Here are some of the photos they took. Coming Clean researchers are crunching data from the National Trust’s digital conservation records to find out more about current and past cleaning practices. A subset of records from the past 40 years have been examined using mixed quantitative and qualitative analytical techniques. These records contain a wealth of information related to conservation practice in the form of condition assessments, treatment reports and environmental data. Digitization has hugely increased the amount of structured information available, which can be extracted using data-mining techniques to answer a broad range of questions. How is conservation carried out, and when does it include cleaning? Which objects are cleaned the most, and what kind of dirt is removed? Which techniques are employed, and how do they change over time? Reports related to 30 properties in the Midlands were gathered, representing around 13% of all National Trust records. Those referring to the removal of dust, dirt or other unwanted substances were selected and coded to simplify key information for analysis. Data visualisation was carried out with a software tool called Tableau Public. The interactive graphs presented here allow exploring the data through filters and maps. 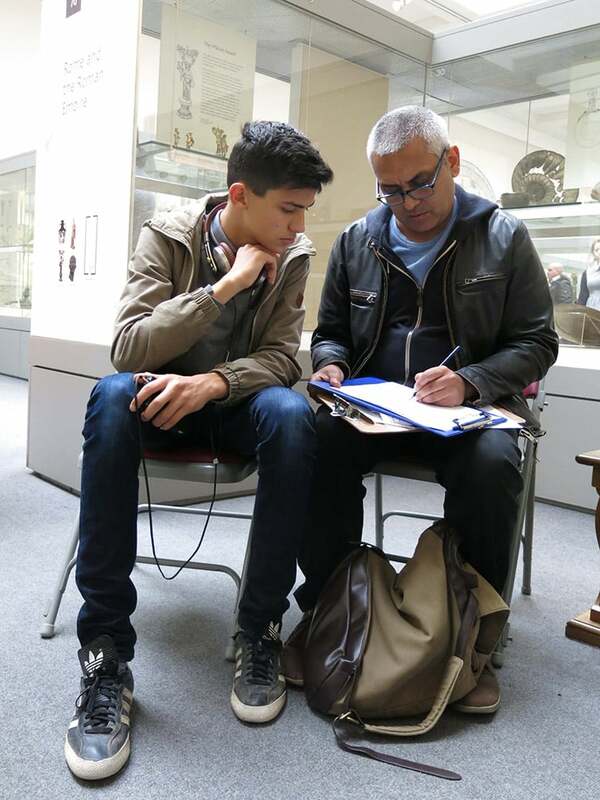 In October 2015, Coming Clean went to the British Museum for a third phase of public perception studies. Close to one thousand visitors took part in the study over the course of 10 days. The aim was to better understand visitors' perspectives on the care and presentation of heritage objects, providing a comparison for previous studies at National Trust properties. Visitors were engaged in a range of activities: 200 people carried out a photo survey as they explored the galleries and 250 took part in a perceptual experiment. Over 750 visitors completed questionnaires recording their attitudes towards preservation, cleanliness, heritage and the passage of time. Information gained from the combination of these tasks paints a rich picture of how visitors experience objects in heritage settings. Activities were based in two locations within the British Museum: first in the Hotung Gallery, which displays objects from China, South Asia and South-East Asia, and later in the Roman Empire galleries. This will allow researchers to assess the extent to which context and nature of the materials influence visitors’ expectations and perceptions. Previous Coming Clean studies at National Trust properties found that visitors’ attitudes tended to mirror the conservation ethos of each historic house. Differences in visitor profiles offer equally interesting comparisons, as British Museum visitors are on average younger and more international than those at Chastleton House and Attingham Park, and a higher number are on their first visit. The next phase of data analysis will examine the impact of these and other factors on how heritage objects are perceived. Coming Clean researchers returned to Attingham Park and Chastleton House in May 2015 for the second phase of visitor perception studies. The experiment, questionnaire and photo survey were adjusted based on the results of Phase 1 and repeated in both properties. The studies took place during half term break, an exceptionally busy time for the houses. At Attingham Park, 398 people took part in the project between May 21st and 26th. At Chastleton House, 376 visitors participated between May 27th and 31st. A questionnaire was used to explore visitors' attitudes towards cleaning in their own homes and in historic houses. In an experiment, visitors were presented with samples of wood and marble soiled at different levels and asked to indicate their preference for display and the level at which cleaning should take place. This helps us pinpoint visitors' cleaning thresholds and the factors that influence their decisions. The third part of the study was a photo survey in which visitors were asked to be a 'researcher' for the day and photograph and make note of objects in the house they thought were in need of cleaning. This is useful for comparing visitors' perception of a house with the professional view. 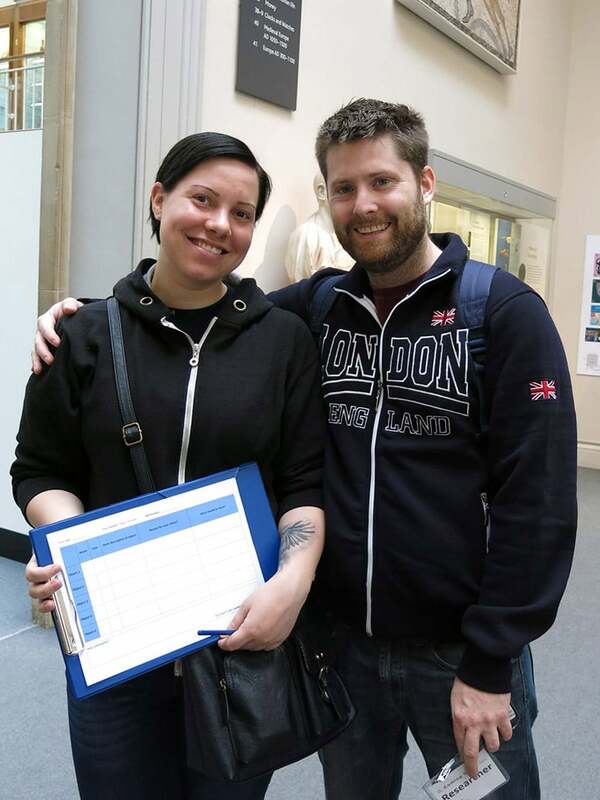 The Coming Clean project employs visitor surveys to investigate the public's perception of cleaning and cleanliness in historic houses and museums. The photos below were taken by visitors at Attingham Hall, a mansion built for the first Lord Berwick in 1785, now a National Trust property. Visitors were asked to photograph and describe "anything that needs more care, conservation or cleaning." The first phase of visitor perception studies took place during Autumn 2014. Visitors to National Trust properties were invited to participate in the project in engaging and interactive ways. Perception experiment at Chastleton House. Visitors were asked to assess arrays of samples deliberately soiled to different levels. 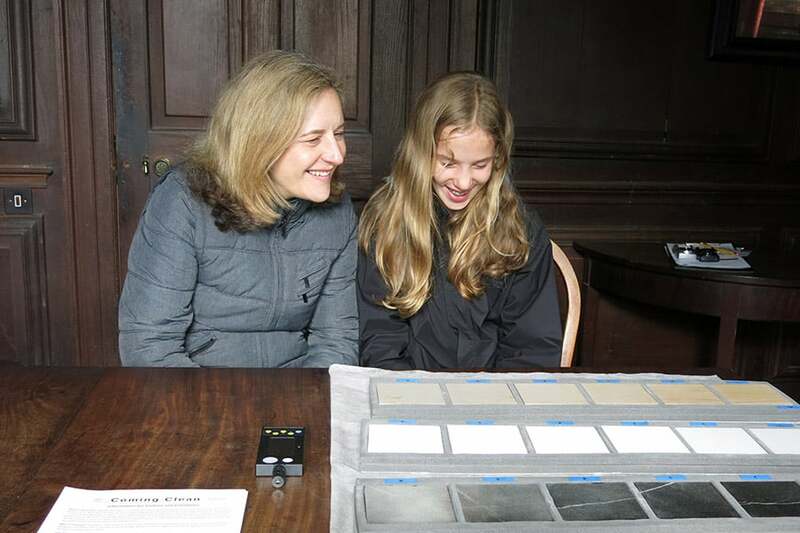 Talking about Cleaning: During ‘Conservation in Action’ sessions at the Treasurer’s House and East Riddlesden Hall in Yorkshire, visitors were interviewed about cleaning– how clean they like their own home to be and whether the same is true for historic houses. Thinking about Cleaning: When visitors are asked to think about cleaning needs in historic houses they bring their individual aesthetic preferences, beliefs about cleaning, values, experience and knowledge to their appraisals. 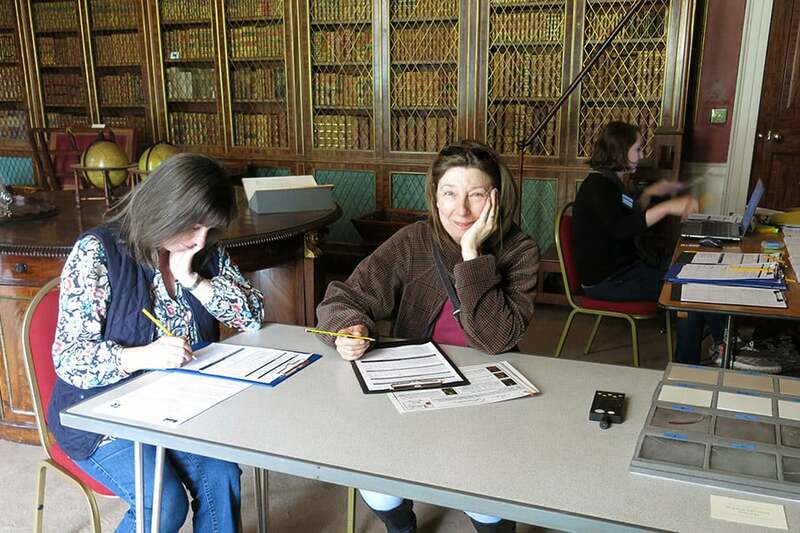 An attitudes questionnaire at Attingham Park (Shropshire) and Chastleton House (Oxfordshire) was used to identify different ‘cleaning types’ amongst visitors. Making Decisions about Cleaning: How much soiling do visitors like, and at what point do they think cleaning should occur? 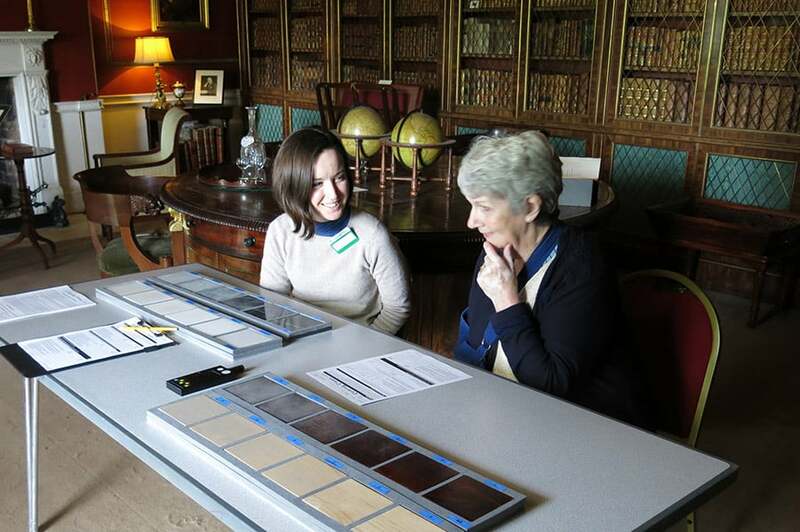 An experiment at Attingham and Chastleton investigated how visitors make decisions about cleaning, and what influences their decisions, by asking them to pinpoint their preferences and thresholds amongst arrays of samples of materials typically found in historic houses and deliberately soiled to different levels. Researching Cleaning: Visitors to Attingham and Chastleton were invited to be a ‘Researcher’ for the day. As they followed the visitor route they took photos of and made notes on anything they felt needed more care, conservation or cleaning. The photo-survey method illustrates the visitor perspective, such as whether they are in tune with the conservation ethos of a property, if they are affected by changes in a property and if their expectations match current conservation plans. Part of the Coming Clean team visits Chastleton House, one of the National Trust properties where visitor surveys were carried out. From left to right, House Steward Sebastian Conway with project members Catherine Dillon, Graeme McArthur, Katy Lithgow and Stavroula Golfomitsou.